Become a member with the IAFSM and view from a wide range of recorded webinars, study case citations that to apply to your field, and communicate with colleagues both nationally and internationally. To apply, click here for a membership form. Click "Register" to the left to register online. IAFSM members should login to the website to receive member rates. All fees are listed in US Dollars, payment will be processed in US Dollars and will be converted to your local currency on your credit card statement. to the IAFSM Business Office. Please contact the host hotel for room reservations. Membership for those who join FSM in conjunction with the conference will be valid for 1 year. On or before November 9, 2018: Refund or cancellation for any reason: 90% of registration fees. Thank you to FARO for Platinum Sponsorship! 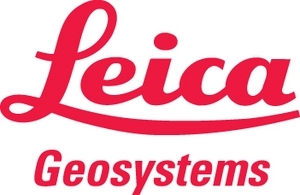 Thank you to Leica for Platinum Sponsorship! Thank you to Trimble for Silver Sponsorship! Thank you to Riegl for Silver Sponsorship! Thank you to 21st Century Forensic Animations for sponsorship of the Welcome Reception! Thank you to Z+F USA for sponsorship of the Buffet Lunch! Thank you to Dot Product for Tabletop Exhibit!